Christian conservative Mat Staver, head of Liberty Counsel, has criticized the Boy Scouts of America's (BSA) decision to lift its ban on openly gay adults. Although the new policy exempts church-sponsored troops, Staver called on churches to cut all ties with the Boy Scouts to avoid subjecting young boys to sexual molestation. 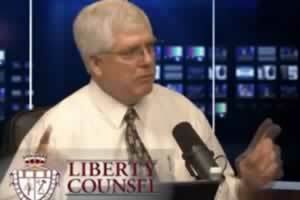 Staver and his organization are representing the Kentucky clerk being sued for refusing to issue marriage licenses to gay and lesbian couples.